I love sewing for my little man. I have done so many orders for so many other people that it makes me happy to be able to focus on him. I try to make him a shirt for each holiday. I failed at Christmas, but I did make him a Valentine's shirt, Easter shirt, and 4th of July shirt last year. Easter this year is the first one I've made in 2013. Last year's was a train carrying an egg. This year I opted for "Stitch" the dog. 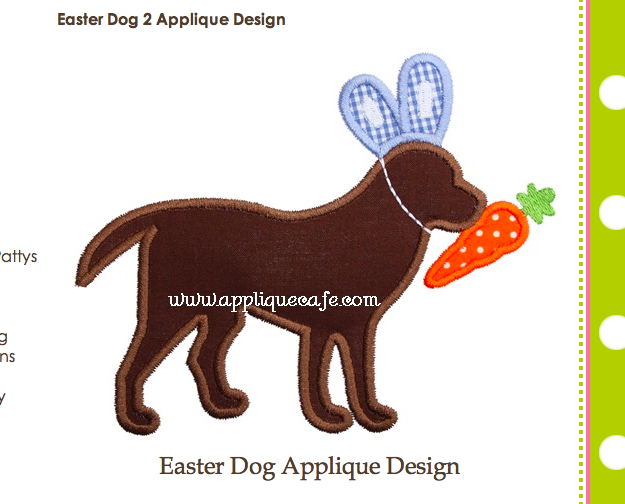 I can't say enough how much I LOVE Applique Cafe's designs. I have never had an issue with their designs stitching out- and I've had plenty of issues over the past 3 years with other's designs. Rosemary at AC has an entire line of Stitch the dog appliques which we love since Stitch looks just like our Sadie dog! This year I opted for Stitch "the bunny". The only problem? The only shirt I had was navy. I was torn between short sleeved/long sleeved but I had a long sleeved shirt in his closet so I went with it. Hopefully it's not 75 degrees this Sunday morning (when our church does their egg hunt). 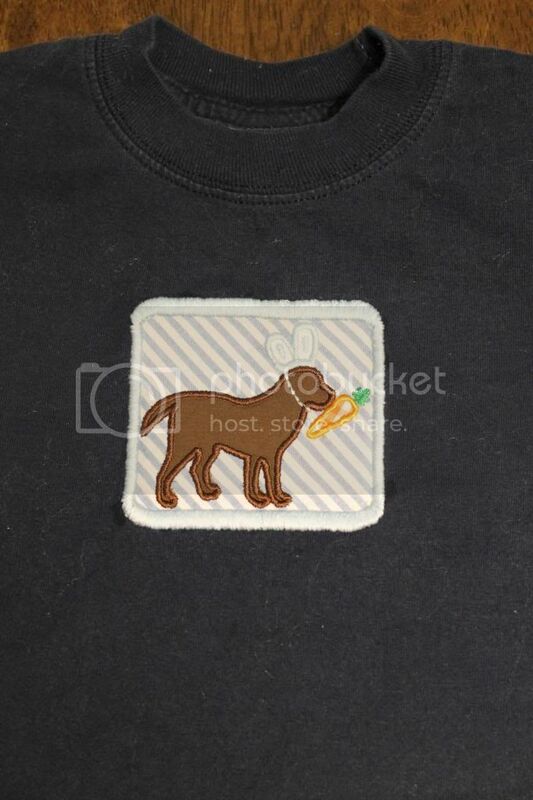 The navy shirt caused a bit of a problem because Stitch needed to be chocolate brown. Brown on navy? No bueno. I thought on this for a while and even contemplated doing the fabric for Stitch in a chocolate gingham, but the last time I did the dog in gingham I didn't like it. So I opted for a frame to go behind the dog. Who doesn't love some baby blue seersucker for Easter? ?